From 22-Jun-2012 17:00 UTC until 27-Jun-2012 17:00 UTC, the callsign GP3ZME/P will be activated by 2W0ZJA,G3UKV,G8VZT,G8UGL,M0PNN,2E0ZSU,M1RKH,G4NKC. QSL Information - QSL VIA bureau card to #G3ZME rnemail buroqsl@pleasemail.me.ukrnwith qso details your card not needed.rnrnQSL direct to #M0PNN. 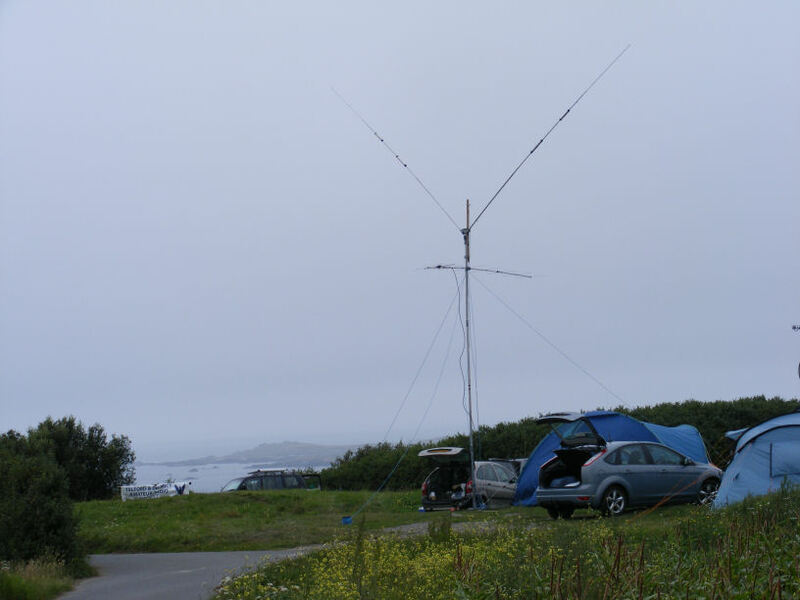 GP3ZME/P Following the success of last years expedition giving many stations a new one the Telford and District Amateur Society will be visiting the Island of Guernsey Between June 22-27 and operating on. HF 160 Meters to 10 Meters. VHF 50MHZ 70MHZ 144MHZ UHF 1.3GHZ SHF 2.3GHZ 3.4GHZ 5.7GHZ 10GHZ 24GHZ. You may follow the DX Expedition on twitter 2W0ZJA will be tweating updates frequencies etc. http://twitter.com/#!/@2W0ZJA . VHF talk back and ON4KST chat will also be used. Locator Square of the camping site is IN89QK but members of the group may well move around the island looking for the best paths to UK EU etc. Taking Part In Following Contests Over the Weekend of the 23-24 June 1.3Ghz and 50MHZ (cw) contests UKug Contests 24th June 5.7GHz Cumulative 24th June 10GHz Cumulative 24th June 24GHz Cumulative 26th June SHF UKAC 2.3Ghz -24Ghz. The 70MHZ Station if operational will be QRO still to be confirmed. We will be going at the peak to the es season so 50mhz will be a priority currently we only have a two element beam for 6 metres can we fit a 5 in ? The main objective of the Expedition is to have fun especially on SHF.